A LITTLE MORE ABOUT MY STYLE OF WEDDING PHOTOGRAPHY. I have photographed weddings at many different venues in an around Oxfordshire, and also outside the United Kingdom. I photograph weddings in a documentary style also known as reportage. 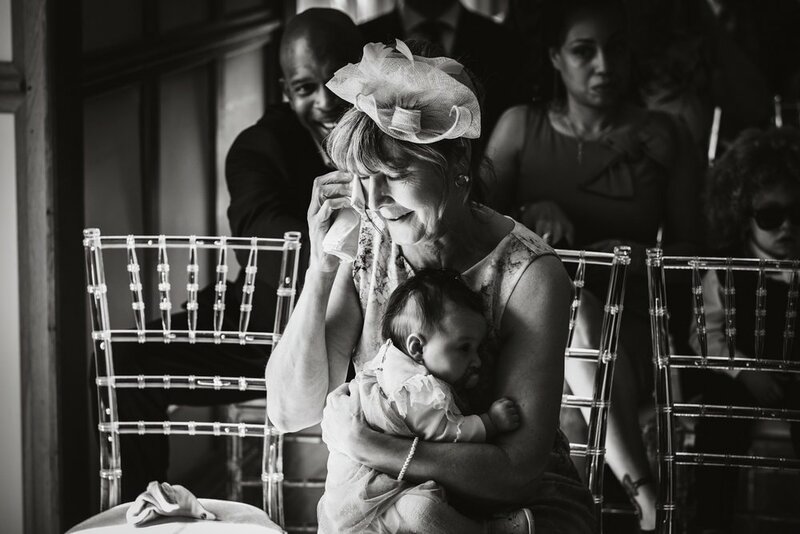 I watch and wait for the right moment to unfold, capturing guests at their most happy, relaxed and natural moments in order to build a story and narrative for your day - I will not sculpt your day into a photo shoot! A common response which I frequently receive from couples is "they did not even know I was there!". If you would like traditional moments such as formal group photos of friends and family then I will be more than happy to do these. And I will definitely spend time during the day ensuring that the both of you have a selection of beautiful photographs of the two of you alone together, making the most of the venue surroundings or a location close by.